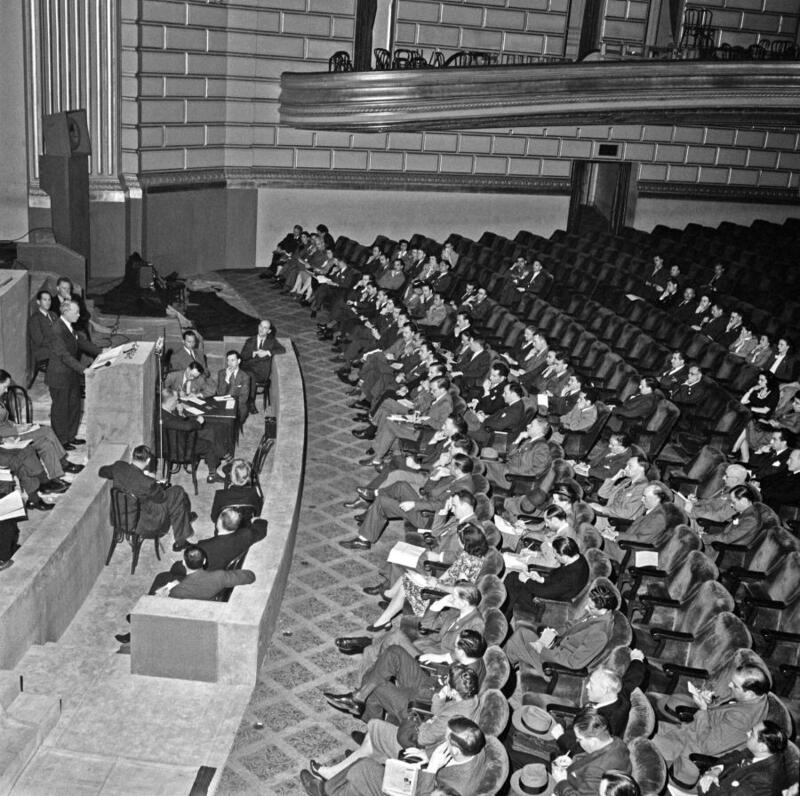 "Dry Run" for Documents Office of Plenary Session - before the opening of the Conference, 20 April 1945. Delegates of fifty nations met at San Francisco between April 25 and June 26, 1945. Working on the Dumbarton Oaks proposals, the Yalta Agreement, and amendments proposed by various Governments, the Conference agreed upon the Charter of the United Nations and the Statute of the New International Court of Justice. The Charter was passed unanimously and signed by all the representatives. It came into force on October 24, 1945, when China, France, the USSR, the United Kingdom, and the United States and a majority of the other signatories had filed their instruments of ratification. 20/Apr/1945. San Francisco, United States. UN Photo/Lundquist. 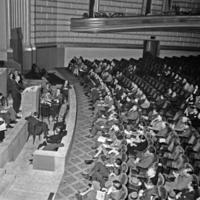 United Nations Photo, “The San Francisco Conference: Secretariat,” Exhibits, accessed April 21, 2019, https://exhibits.library.utoronto.ca/items/show/2914.